Life is hard. So, where do you turn for help? Where do you find encouragement in the hard times of life? In this post, you’ll find my top 10 Bible verses for trusting God in difficult times. These are the verses I turn to when I’m facing tough situations and I know they’ll help you, too! You’ll also find my prayers related to each Scripture you can pray to claim God’s promises over your life and ask for God’s help when life gets tough. 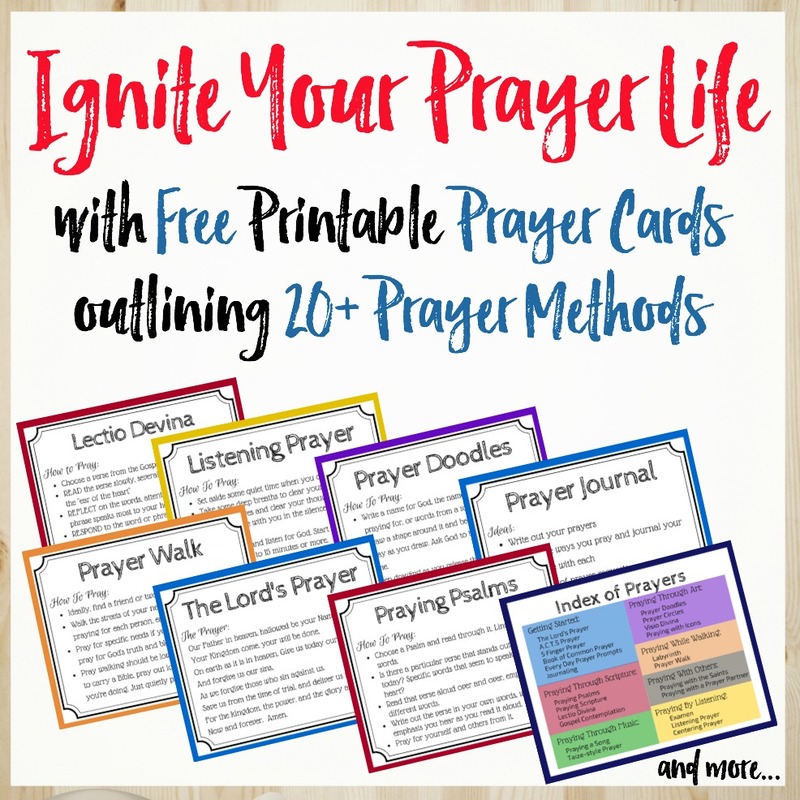 Don’t miss the free downloadable workbook that includes printable scripture and prayer cards, along with worksheets for each verse. What’s your go-to when life hits with its full force and knocks you down? Do you reach for a phone and call your mom, your sister, your best friend? Do you head to Google and lose yourself searching for answers? Do you put a favorite song on replay and lean into familiar melodies that speak to your heart? Or, do you go first to prayer and scripture, recalling the promises why you can trust God in hard times? In different seasons, I’ve answered “yes” to each of those options, but as I’ve grown in my faith I’ve learned that scripture and prayer work the best. God is more available and more of a comfort than your best friend. God is wiser than Google. God’s peace which passes all understanding comforts and soothes better than any song or salve. God’s promises are stronger and more powerful than any earthly solution. Prepare in advance for those hard times, because they will come. God promises we will face troubles in this life, but he also promises to walk by our side through it all. So, be ready. The scriptures below are some of my favorites, my go-tos when life gets hard. Take these to heart, memorize them, print them out and keep them at the ready. When you’re facing hard times, pull out these scriptures and prayers as your go-to and let God carry through. Join our 'Prayers and Possibilities' newsletter for weekly encouragement and I'll send you "10 Bible Verses to Trust God in Hard Times" as a FREE gift. Use these printable scripture and prayer cards as encouragement when life gets difficult. Jesus, I need you. I’m weary and the burdens are great. I’m not sure how much more I can bear. Will you help carry these burdens for a while? Can I come to you and walk by your side? I need your rest for my soul, your comfort for my heart. For I know you are gentle and loving, kind and compassionate. You will lead me and show me the way. You will carry the burden and fill my soul with rest in you. Thank you for how much you love me. Amen. Lord, I know you have a plan for my life, but I can’t see it right now. The path ahead seems dark and unknown. I’ve been trying so hard to make my own way, to fix my own problems, but nothing I do seems to work. So, I’m putting my trust in you. I’m trusting in your plans, even though I don’t understand or see them. I’m trusting in you to lead me and make a path before me. For you are wise and all-knowing and can do all things. Amen. Almighty God, your scriptures repeat these words “do not be afraid”, yet I so often am. You say “do not fear”, yet fear threatens to overtake me some days. So, I will place my trust in you, knowing you are by my side no matter what. You take hold of my right hand and whisper in my ear, “do not fear, do not be afraid”. For I know my help comes from you alone and you will strengthen me and protect me. Stay by my side and hold my hand. Amen. Father, you are the Great Provider, the One who looks after all of your creation. Help me to remember that includes me, too. The world tells me I need to provide for myself and solve it all myself, yet you are the One who provides. I do not need to worry, for you love me and provide for me. Worry is only a thief and an enemy. I will instead pour my energy into drawing nearer to you, trusting in your great provision for my life. Amen. Almighty Lord, your power and might are great. You showed your faithfulness to your people time and again. Help me to remember you are faithful to me, too. Though the battles seem like mine to fight, I am claiming your promises over my battles. That these are not mine to fight, but yours. I trust that when I step out and take up my position, you will go before me and win the battle. I will not be discouraged or afraid. I will trust in you. Amen. Jesus, I’m weary and tired from this battle. My feet are stumbling and I don’t know how much longer I can carry on. Give me strength. Renew my hope. Fill my soul with your rest. Restore and revive me so I can continue on and run this race with perseverance. For you promise that those who place their trust in you will renew their strength and soar on wings like eagles, will run and not grow weary, will walk and not be faint. Amen. Lord, remind me this is only a season. For every time there is a purpose and I will not be in this storm forever. This storm will pass and the sun will shine again. For there is a time to weep and a time to laugh, a time to mourn and a time to dance, a time to search and a time to give up, a time to be silent and a time to speak. Though this may be a time of difficulty, a time of peace and joy may be around the corner. I will trust in your time and your plans. Amen. Heavenly Father, you who makes all things new and brings beauty from our ashes: bind up my broken heart, proclaim freedom over my life, and release me from my darkness. For you are the One who promises to comfort those who mourn and bestow upon me a crown of beauty, oil of joy, and a garment of praise. You will turn my despair into rejoicing. For I will put my trust in you and believe in your promises of hope. My suffering will become a testimony to your greatness and faithfulness. Amen. Jesus, I so often limit myself to what is humanly possible. I sometimes forget that you are greater than any human constraint, more powerful than any force on this earth. For even the winds and waves obey your command. When I feel weak and limited, I will put my trust in you and remember that your power is limitless. When my problems feel impossible, I will hand them over to you, for whom all things are possible. Amen. Heavenly Father, hear my prayer. When life gets tough, I will come to you in prayer instead of worrying. When I’m uncertain and afraid, I will come to you in prayer and trust you for strength and direction. When I am in despair, I will find hope in you. For you are gentle and provide a peace which passes understanding. For even when times are hard, I will rejoice in you and praise your name forever. I will come to you first and trust in you. Amen. How Will You Trust God in Hard Times? This is my favorite song right now – one I have on repeat – and one that echoes and reminds me of God’s promises. Hope it encourages you, too! And He’s all we need.